There is no disputing recently that Over The Top (OTT) approaches to cloud content and smart devices (connected TVs, mobile phones and tablets) have had a huge influence on the media and payTV industry. Just as new market entrants scrambled to sign content deals and offered a compelling OTT offering, the payTV market leaders also pushed to deliver their valued content to these new screens. They needed to do this to keep up with the innovation curve and meet consumer desires to leverage their new devices. Many had predicted the demise of traditional media stalwarts and the set-top box (STB) but the industry enjoyed continued growth. However, it is important to recognize that the OTT experiment is in its infancy and innovative internet services and device companies will continue to evolve and learn from their early missteps. This paper discusses why OTT has yet to succeed with consumers and how their relationship is evolving with this new way of watching TV. It will also examine what PayTV operators can learn through this experience in order to continue to enrich their content, differentiate services and get closer to customers to maintain their lead and fulfil growth plans. While the critical component lacking in most of the OTT offerings is clearly traditional live TV content, trials such as the Hill Holiday OTT user study ‘An Experiment in Cutting the Cord’ have proven that this is not the most frustrating factor for consumers using OTT. The common thread across all the tested platforms has been that users were fundamentally uncertain of how to watch TV that was not their familiar linear style network feed. OTT’s new “search only” approach violated the common principals of channels, Electronic Programme Guides (EPGs) and TV networks, which to the PayTV operator’s benefit is the comfort zone of the consumer. Consumers simply do not have the time to be engaged in managing their entertainment ecosystem and making decisions. Users consistently commented that they prefer a “lean back and forget” experience where users appreciate the network’s next show. Simply put, they did not know what to watch next. This presents an interesting challenge to PayTV operators who themselves are starting to offer more cloud-based DVR and web content and Video on Demand (VoD) libraries that may complicate the linear experience. However, it’s also a huge opportunity to take what is known about the consumer’s personal choices, viewing habits and social media interactions (on an opt-in basis) to take the linear experience to a completely new level. It’s an opportunity to create the first “personal linear network” that is customised for each user, blending the best traditional PayTV content with other smart content offering opportunities. Killer Apps, or Apps Kill? One particular perceived advantage for OTT devices is that by enabling apps that deliver content, platforms will automatically be populated with better experiences from all the great developers in the world. The reality, however, is that these apps further fragment the consumer TV experience, confuse the user about where they should get their content and often require them to search in the specific content app itself instead of a broader global guide search. Consumers again have struggled with these new platforms when trying to find the content they want, and often have to search for films across many sources (e.g. LoveFilm, Amazon, Netflix, Samsung,). This approach represents both a loss of control of the experience, which is frustrating to the customer, and a potential revenue leak as it becomes difficult to promote preferred content and provide personalisation. The apps approach to content has been a convenient starting point, but has caused considerable confusion; the content discovery experience has diverged again from the preferred linear experience. As users cut the cord and switch off their linear TV, they have to perform their own installations on an OTT internet connection. In most cases users have no connectivity near their TVs and are forced to resort to wireless adapters that are very complicated to install and attach to the consumer’s home network. This alone drives many calls to their broadband provider. In the Holiday Hill OTT user study, most users resorted to a long Ethernet cable across the room, a very frustrating answer for the consumer. PayTV operators that bundle broadband services therefore have a clear advantage in this area, as they can provide a managed ecosystem with their STBs and gateways with clean procedures for attaching these devices to the network, and a great way to monitor and maintain the service experience for the customer. When using OTT, users consistently encounter buffering and network issues while watching videos. Even worse, there is no clear way to troubleshoot the source of these issues. While OTT users conceptually value the unlimited content offerings, that value disappears when the video streams started to regularly buffer or stop entirely. Users take for granted high quality HD TV from their PayTV operators, and the support experience they have access to when something goes wrong – including, when necessary, an onsite technician to install and fix the service experience. As payTV operators also begin to move more of their content to IP delivery and home networks it is critical to consider offering a managed experience. At Pace we have learnt firsthand that without being able to clinically isolate device, home network and broadband related issues, payTV providers can a expect significant numbers of unnecessary technician truck-rolls. Pace’s managed approach to monitoring the gateway and STBs in the home has resulted in eliminating unnecessary device replacements by over 50 per cent, and reduced unnecessary technician truck-rolls also by over 50 per cent. These results are clear – immature unmanaged home networks and slow broadband speeds hinder OTT. There are huge potential savings for payTV operators in deploying managed solutions to maintain the quality of service and keep close to the customer’s experience. New Opportunities – What’s Next? The rush to deliver streamed video in the “any device” world is clearly underway for both OTT providers and operators, and as we have witnessed, it is in early learning stages on both sides. The new business models that sustain current customer subscriptions, add new revenues and manage the costs of delivering services are just now evolving. While technology innovation may be the enabler growth in, subscriber and ARPU involve broadening the availability of services to new audiences, and providing content differentiation in an ever competitive cost-focused market. These new opportunities will influence the second generation of connected content solutions. More Bandwidth – New Devices – Same Old Content? So far in the battle to own the consumer’s TV and content dollars, we have seen innovations that enable consumers to watch “any content, any time, on any device” but while we see ever expanding bandwidths in cable and fibre, and great new devices, it is the same old content just being played on a different device. PayTV operators have yet to differentiate themselves further in their primary domain; the big screen TV experience. The payTV industry clearly has a strong lead in the content rights ownership war, but as many of these rights are now offered competitively and some content producers offer content directly (iOS, Android and connected TV apps), it’s critical to consider how to enhance the content itself as there is typically no price differentiation for premium content and users have no incentive to switch nor incentive to stay. Simply put, both industries are yet to take advantage of the IP pipe that can deliver more, higher quality content. Nor have they taken advantage of the highly innovative device capabilities that can augment the content experience. Advanced payTV operators in highly competitive content markets are working to deliver these differentiated content experiences on the TV screen. 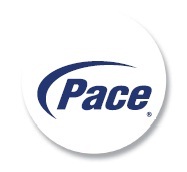 Their efforts to augment content offerings in their market have resulted in significant subscriber growth against operators with similar basic content – in other cases, Pace has seen customers actually compete for and win exclusive content rights by demonstrating the advanced experience they could offer to content owners. The other major factor in the successful deployment of web or cloud video services is the readiness for studios and broadcasters to license their content for viewing on non-operator-controlled devices. Typically, an operator’s system is licensed on the condition that: all of the elements of the network are under the operator’s complete control; that each of the elements has passed a stringent security review – especially the STB; and that full accountability and traceability of the network is in place. This is simply not possible in the OTT video streaming model, as the video will be watched on an “insecure” consumer device, such as a PC or smartphone. Yet, as a result of delivering with high-quality high-definition (720p or better) video streams, the content owner naturally becomes wary. Each of the three commercial adaptive-bitrate HTTP streaming implementations (Apple, with their IETF-draft HTTP Live Streaming; Microsoft, with its Smooth Streaming; and Adobe, with Flash 10.1’s Project Zeri) offers a method of securing the video content during delivery to the viewer, typically via an AES-128 scrambling system. Both Microsoft’s Smooth Streaming system and Adobe’s Flash have an additional Digital Rights Management (DRM) signalling layer for integrating a viewer permissions-based system over the scrambled video content. Apple’s HTTP Live Streaming is not specified with a built-in DRM layer. Crucially for the deployment of HTTP-based video streaming services, both Microsoft’s PlayReady DRM and Adobe’s FlashAccess DRM have the approval from content owners, broadcasters, and studios – permitting Internet-based streaming to consumer devices. The management of the entitlements, user accounts, cryptographic keys, license files, and other per-user, per-video security data is outside the control of the specific DRM technologies. It is this management, authentication, and authorisation that the Latens Conditional Access System (CAS) provides to an over-the-top video solution. In an era of cloud-based content, connected home and mobile devices, payTV operators are being challenged to maintain their leadership position with subscribers and reduce operation costs as competition mounts from new OTT entrants. Managing the migration to hybrid or IP content being delivered to retail devices and over an unmanaged home network It is the role of payTV technology suppliers to make it simple for customers to deliver and support services and content across any network consistently. What’s new for Cable Congress 2013?